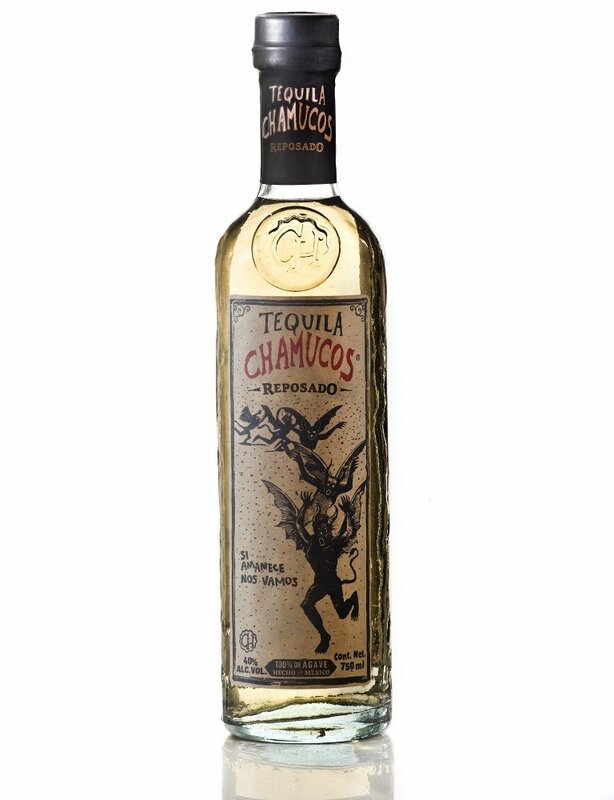 Chamucos is a Highland tequila brand, conceived in 1992 by an Oscar-nominated Mexican film director, Antonio Urrutia, and his close friend, a hand-blown glass bottle artist, Cesar Hernandez. Chamucos — “dark, shadowy, creatures who appear in dreams and only visit briefly at night” — dance on the label of the bottle, both of which are made with recycled materials. The 100% agave tequila is made with organic Los Altos agave, distilled in a custom stainless steel alembic still, and (for the reposado) aged in a combination of barrel types that includes both new American and new French oak — a rarity in this world. Today we look at two expressions: “Diablo Blanco,” a 110 proof silver, and the reposado bottling. Both a standard 80-proof blanco and an anejo are also available. What’s the NOM on these? When I checked old reviews on tequila.net I noticed that a few different NOMs have been bottled under this brand in the past. I have a fantastic repo bottle from a couple years ago and I’m just wondering if it’s still the same juice or if they’ve moved on to another (apparently excellent) one. Interesting, thanks. My bottle is 1501. It seems like the only thing consistent about the brand is quality. I find the usage of a stainless steel alembic still pretty interesting. A copper still would have added too many fruity notes I wonder? Excited to try this!